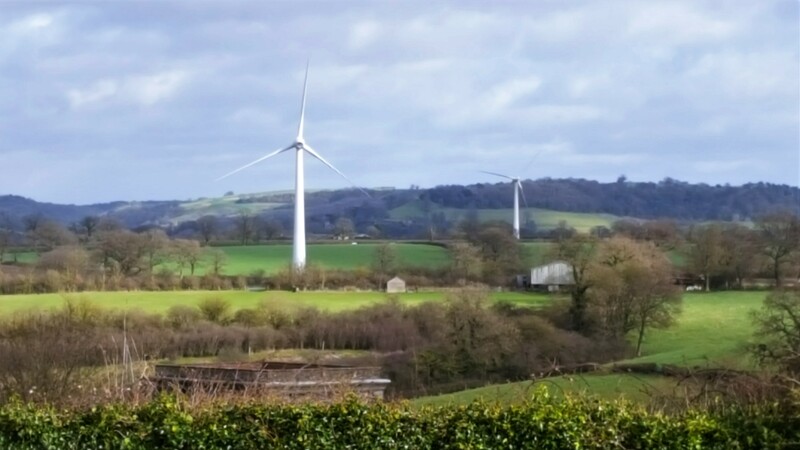 The two 500kW Community Wind Turbines in Kingswood, Stroud are owned and operated by Resilient Energy Mounteneys Renewables (REMR), a Community Benefit Society registered with the Financial Conduct Authority. The turbines were installed in March 2017 with commissioning completed April 2017. The turbines are generating clean, green electricity in line with expectations and are well placed to deliver against the society’s social aims over the turbine’s operational lifetime. These include establishing the REMR Community Resilience Fund to help address the current needs and future challenges in the host communities of Kingswood, Wickwar, Hillesley and their immediate environs. The Society has now established the community fund mechanisms, with the opening of the first round of applications to the REMR Community Resilience Fund. The fund criteria and mechanism of operation are outlined below. The Society has received a number of enquiries regarding possible applications to the fund in relation to eligibility criteria. Whilst individual responses at this stage are not considered appropriate, it is hoped that the information provided below will provide clarity. We are currently inviting applications from residents of Kingswood, Wickwar, Hillesley and environs to join an Advisory Panel which will assist the society in allocating funds when the first funding round opens. Scroll down for further details and a link to the on-line application form. The purpose of the REMR Community Resilience Fund has been publicly stated from the outset of this community energy project, including at the pre-planning stage. Applicants will be required to explain how the funding they seek will help to build community resilience in this defined area and will be required to show a basic understanding of what this means within the application form through guided questions. The Society will be keen to receive applications for projects/actions which will help to create a lasting legacy, providing social, environmental and/or local economic benefits for the community. There will be no requirement for match funding as with some community grant schemes. However, applicants may leverage additional funds by the use of a successful funding award from the REMR Turbines Community Resilience Fund as match funding for another funding stream. Retrospective applications (ie where expenditure has already been incurred) will not be eligible to apply for funding. The Society believes that those living within the community are best placed to understand the community strengths and weaknesses, and therefore determine appropriate responses to its needs and challenges. The REMR Turbine Community Fund Advisory Panel will be established ahead of the opening of the first round of applications to the Community Fund. It will assist the Society by reviewing applications received in each particular funding round, against the Fund Criteria. The Advisory Panel will be Chaired by The Resilience Centre (the Society’s appointed Manager) who will oversee proceedings on behalf of the Society and provide an admin function, but will have no voting rights on funding allocations. The appointed Advisory Panel members will be briefed on community resilience, and at each funding round they will then have the role of assessing the eligibility of applications against the criteria, and collectively deciding on the allocations of funding. The application process will be competitive and not all eligible applications to the Community Resilience Fund will be supported. The decision regarding allocation of available funds by the Advisory Panel will be final. Feedback will, however, be provided to all applicants. Applications for a voluntary role on the REMR Community Resilience Fund Advisory Panel are now invited by the Board of Resilient Energy Mounteneys Renewables Limited. Completed applications will be accepted until 10th September 2018. Applicants must be a current resident of Kingswood, Wickwar, Hillesley or immediate environs and supportive of community wind energy and the society’s aims. There are just 4 questions to answer on-line or you can print and return the form by post/email if preferred to the address stated on the form. The selection of the Advisory Panel members will be decided by the board of REMR. Applications are invited from individuals only i.e. there will be no nominated representatives of other organisations on the Advisory Panel. Appointed Advisory Panel members may have associations with other community organisations in the area but will be ineligible to vote on applications to the REMR Community Resilience Fund received from any organisation with which they have such associations. Successful applicants to join the Advisory Panel will be notified during the first week of August 2018. Initial appointments will be for a minimum of 1 year and a maximum of 3 years. Application Forms for applying to the REMR Community Resilience Fund will be available on this webpage from 15thAugust 2018 with an application deadline of 30th September 2018 expected to be confirmed at that time. Applications will be considered by the appointed Advisory Panel within 6 weeks of the application deadline. Whilst the majority of successful applications to the Community Resilience Fund are anticipated to be from applicants in the Kingswood, Wickwar, Hillesley and immediate surrounding area, applications from further afield may be considered, at the discretion of the appointed Advisory Panel, but only where the applicant can clearly evidence that there would be significant benefits to the communities of Kingswood, Wickwar, Hillesley and environs. Before the REMR Community Resilience Fund can be launched, as with any similar community project, the society first needs to receive sufficient income to meet its initial start-up and ongoing operating costs. The society receives income from the sale of electricity generated (via a power purchase agreement with an electricity supply company), and from Feed in Tariff payments (linked to the amount of electricity generated) which will be paid for a 20 year period. There is a lag between when the electricity is generated and when these payments are received – due to third party processing schedules for payments and FiT claim procedures. The society currently expects that the REMR Community Resilience Fund will, therefore, be established in spring 2018, with the first round of grant applications to the fund likely to be scheduled for summer 2018. We anticipate that this webpage will be updated in March 2018 with further details of the mechanism for the fund operation, including a call for applicants who wish to be considered for a voluntary position on the REMR Community Resilience Fund Advisory Panel which will assist the society in allocating the funds available at each funding round. The average annual Community Resilience Fund available over the lifetime of the project is expected to be of the order of £32k/yr. The figure will, however, be less in the first three years of operation due to higher project outgoings during this period, including in relation to biodiversity monitoring commitments required by Stroud District Council. In addition to the REMR Community Resilience Fund, the society anticipates generating a further surplus for the benefit of the community from around the sixth year of operation (exact value to be confirmed). The society intends that this separate community surplus will establish a REMR Community Energy Fund which will be used to support projects which tackle fuel poverty and/or seed fund other community energy projects in the Stroud District area. Further information will be provided ahead of the launch of this additional fund, the allocation of which will be decided on an annual basis by the members of the society against established criteria.